Angola striker Manucho celebrates with Mabina after scoring the second goal in his side's 2-0 win over Malawi. Goals from Manucho and Flavio helped hosts Angola move top of Africa Cup of Nations Group A with a 2-0 victory over Malawi on Thursday. The victory gave a boost to the tournament which has been overshadowed by Togo's withdrawal last week. Rafik Halliche scored the only goal of the game as Algeria registered their fist victory of the tournament with a 1-0 win over Mali. (CNN) -- Goals from Manucho and Flavio gave hosts Angola a welcome boost as they moved top of Africa Cup of Nations Group A with a 2-0 victory over Malawi on Thursday. In the opening match Angola threw away a 4-0 lead to eventually draw with Mali, but home fans were able to celebrate second-time round as they clinched a comfortable two-goal win in Luanda. Angola, who played under the gaze of president Eduardo Jose dos Santos, began the game brightly and almost took the lead in the opening minutes when Manucho volleyed Flavio's cross only for Malawi keeper Swadick Sanudi to smother the ball. The team known as the "Black Antelopes" continued to dominate the half and went close again in the 33rd minute when Djalma teed up Manucho but Sanudi was equal to his powerful shot. Angola's attacking approach was maintained after the half-time interval and they broke the deadlock three minutes into the half through Flavio. The energetic Djalma broke down the left flank before he whipped a dangerous cross into the penalty area which was met by the head of Flavio who directed the ball past Sanudi. Former Manchester United striker Manucho doubled the advantage in the 54th minute when he held off a strong challenge from Malawi captain Peter Mponda and produced a neat close-range finish. Angola coach Manuel Jose was forced to withdraw Flavio through injury on the hour mark but it was the only sour note in what was morale-boosting win for the hosts. The tournament, which has continued despite the withdrawal of Togo after a deadly machine-gun attack, continued with Algeria clashing with Mali. Defender Rafik Halliche scored the only goal of the game as the Desert Foxes registered their first victory of the tournament with a 1-0 win over in Cidadela . Mali were unable to match the heroics of their first match as they went down to a disciplined Algeria side. The Eagles had the early pressure and Mustapha Yatabare's second-minute free-kick caused problems in the Algerian defence but Mahamadou Diarra was unable to find a teammate with his pull-back after beating Algeria keeper Faouzi Chaouchi to the loose ball. However, Algeria -- known as the Desert Foxes -- dominated the remainder of the half and went close moments later when Karim Ziani's swerving, dipping cross almost caught out Soumaila Diakite in the Mali goal as it struck the top of the crossbar. Rabah Saadane's side continued to press and were rewarded with the opening goal of the game in the 43rd minute when Bakary Soumare brought down Yacine Bezzaz in a dangerous position. Ziani delivered another dangerous ball into the penalty area and Halliche was able to evade the Mali defenders and head the ball past Diakite. Stephen Keshi's side began the second half with renewed purpose and Mali's Seydou Keita forced a fingertip save from Algeria Chaouchi from a narrow angle shortly after the half-time break. But it was a rare chance as Halliche and Madjid Bougherra marshalled the Algeria defence superbly, despite the introduction of Sevilla striker Freddie Kanoute for Mali, to hold on for the win. 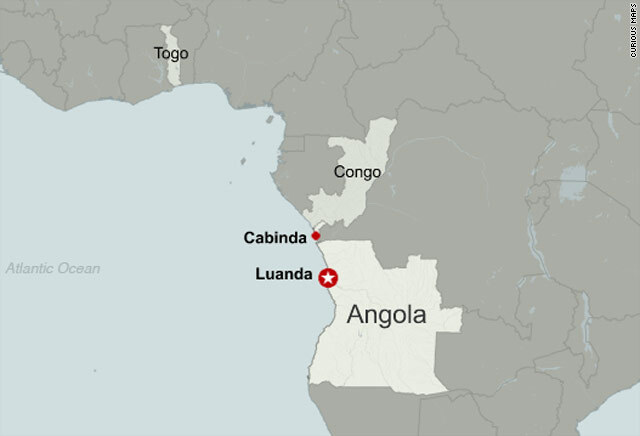 Was Angola ready to host Cup of Nations?